It has been a while since my last Ninja blog. I have been contemplating the thorny subject of cask pricing but this is the subject of my next in the series. For this one I will be touching back on hop contracts and more importantly, what we are doing about the massive shortage of Citra hops again this year. 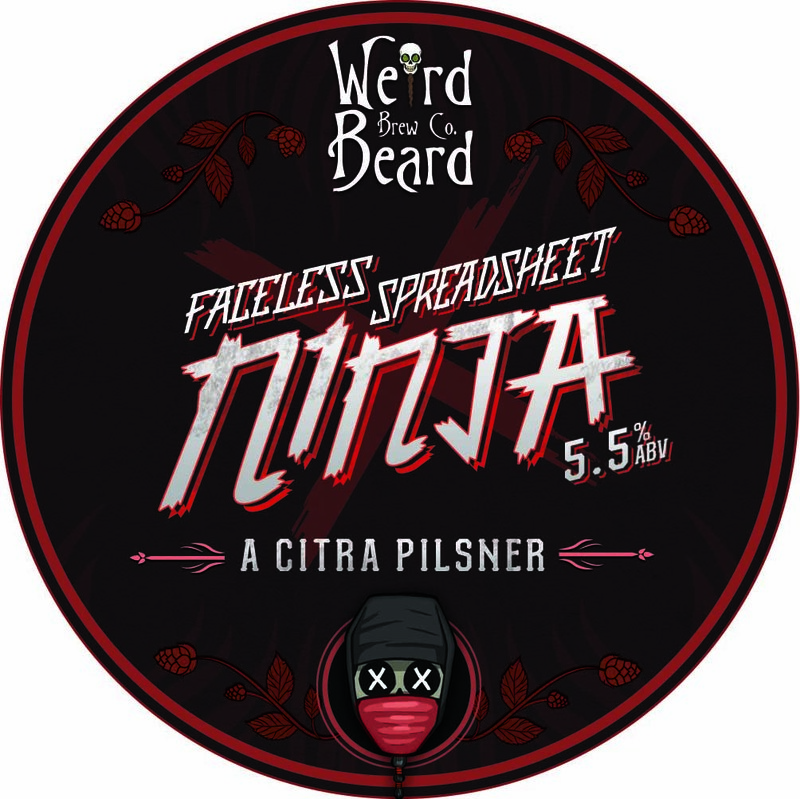 So if you remember, in 2015 to get over our shortage of Citra we changed the Ninja recipe and put in a much bigger order of Citra for 2016. This worked well enough for us for the rest of the year allowing us to keep brewing Mariana Trench. The variations of Ninja were good but they did not sell as well as Faceless. 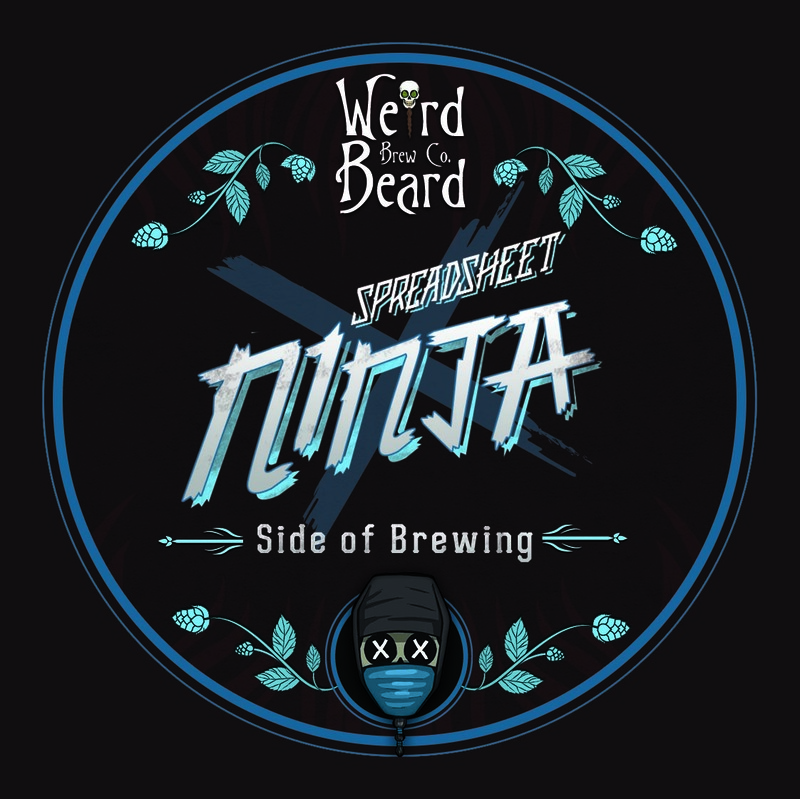 Also Traditional Spreadsheet Ninja was particularly slow, we think because of the name. Just because we respect the tradition of pilsner brewing in Europe does not mean that people will not be put off by the name. Also there was a large confusion between the various variations and names. Something needed to be done. Meanwhile now it is 2016 and a nice letter informed us that we would only be getting 60% of the Citra we ordered. Damn here we go again. 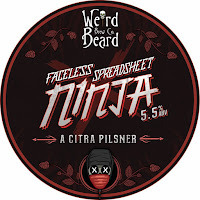 We had just re-brewed the new version of Faceless Spreadsheet Ninja and we did not want to go through the whole variations process again.We also have a history of making changing hop beers (Little Things that Kill and Holy Hoppin' Hell) so the possibility of adding a 3rd changing hop beer to our roster opened up. 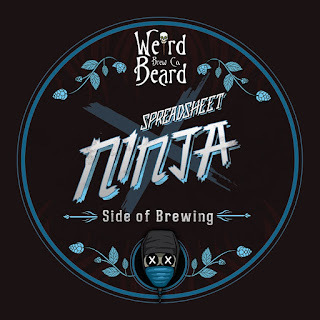 So when we relaunch Ninja in March it will be as "Spreadsheet Ninja" a 4.8% single hop, changing hop pilsner. Many of the batches will be the Citra hop as we are only a little short on Citra leaf but expect some other batches to materialise during the year. I'm particularly interested to see how the Sorachi one comes out. Unlike last year we are not OK on Citra pellets this year. We use Citra pellets in a lot of beers: Mariana Trench, Five O'clock Shadow, Fade to Black, Something Something Darkside etc. 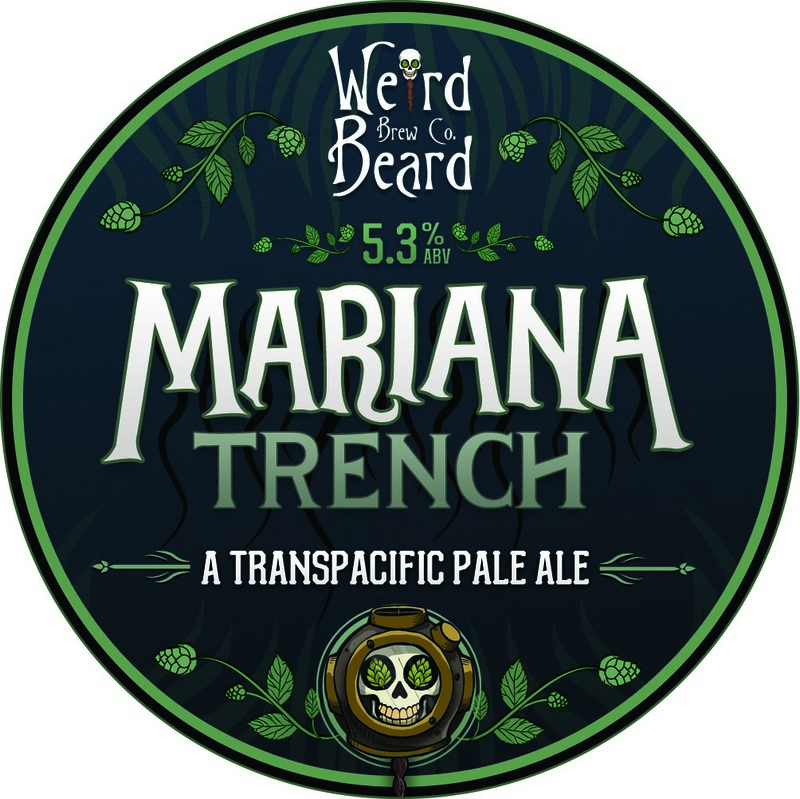 We can't very well change Mariana, least of all because this Ninja's wife would kill him, it being her favourite beer and all. Fade to Black and Something Something Darkside are not brewed that often during the year. 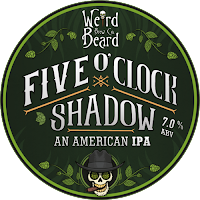 I had been thinking about a change to Five O'clock Shadow hopping for a while now and this gave me the little push I needed to make the change. Out go Citra, Apollo and Columbus, in come Simcoe, Centennial and Chinook. Staying put is Summit one of my favourite hops. 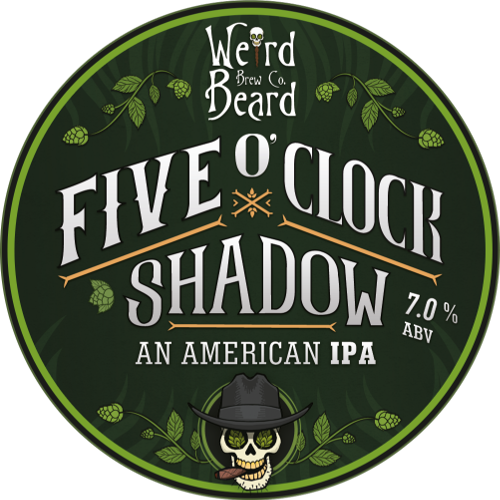 The flavour profile should be a bit less dank and a little more piney, a bit more of a traditional American IPA recipe. Anyway we think it will be awesome. Look out for it in March as well. 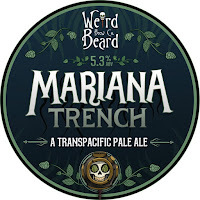 We won't be making any real changes to Mariana Trench, don't worry. We have enough of the hops to brew it pretty regularly through out the year. We may however put less of it into cask if sales of keg and bottle are strong. Margins on casks are much lower than that of kegs and bottles and the logistic overhead of keeping tabs on and collecting the casks is high. It makes no sense to this Ninja to keep producing casks of a beer that is hop limited if you can sell more kegs and bottles. More about cask pricing next time ... soon I promise.